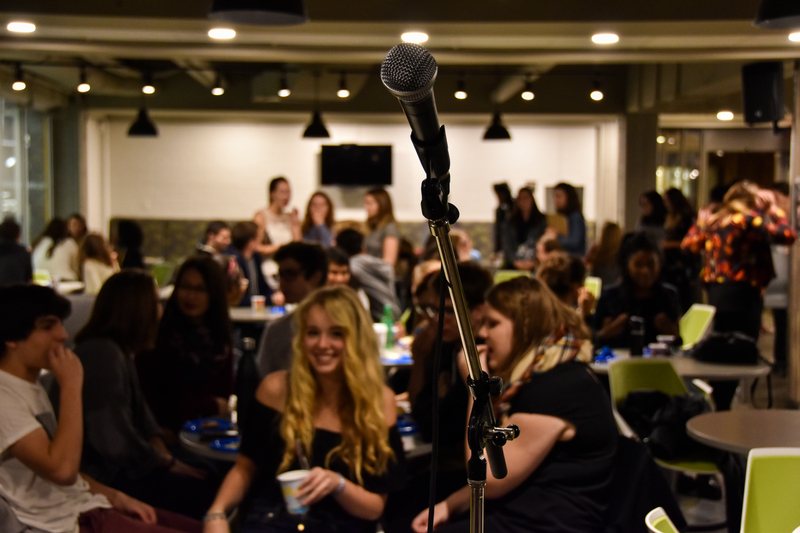 Rhymes for Rights filled the seats of Rooster’s Café Oct. 20 as spoken word poets and musicians took to the stage to speak for human rights. “We saw some of the biggest numbers we’ve ever had for an open mic night like Rhymes for Rights. It was great to see so much support for JHR’s projects,” Patrick Butler, events co-ordinator said. The event was conceptualized in 2013, pitched as a spoken word event with poets and artists alike using their talents to bring awareness to personal and human rights issues. All funds go to a project within the Journalists for Human Rights organization. This year, the donations totalling $300 went to efforts in South Sudan. From the rights of women to children in war, all eight poets brought truth and power to the stage. Musical guests included some original works and covers, as well as beatboxing. Bake sales, raffle, and entry tickets made up a bulk of the earnings, but according to Butler, the success of the event lies in the hands of the members.